Modelart 4 Channel Mini Quadcopter Orange Modelart brings to you the 4 Channel Mini Quadcopter, whos..
Get ready for some high flying action! Blast off from the launch pad and watch as this awesome Rescu.. 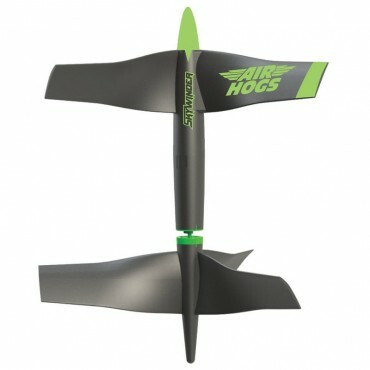 Launch your way into flight with the Air Hogs Rip Force Glider! The Rip Force Glider is an outdoor ..
4.5 channel digital proportional control helicopter. It has a unique lifting feature where-in a moto.. Hovering mid-air and performing incredible swoops, loops and dives! Single trigger flight makes it easy to master Skywinder's stunts. The Skywinder is designed to fly indoors and is constructed from safe, crash resistant materials. Made for young pilots ages 8+ and requires 4 AA batteries for operation.